Your Commercial Heating and Cooling Experts! Artic Air offers premier heating and cooling products and services for commercial and industrial facilities. We are committed to offering professional, cost-efficient services focused on commercial HVAC installation and repair projects of all sizes. Our professional design and build teams maintain a close working relationship with the industry's leading manufacturers, allowing Artic Air to offer the most advanced HVAC products available in today's market. Opened in 1986, as a commercial service firm, we have grown into a full service commercial mechanical contractor with experience on luxury residential applications. Our people have been with us and in the industry for a long time. For our clients, that means depth of knowledge is shared. Artic Air teams are qualified, skilled craftsmen and workers. The culture is one of openness, honesty and doing it right the first time. We work to understand what our client’s goals are and to deliver on them, on time and within budget. Field leaders and project management works closely to bring projects to completion as expected. We are proud to offer full mechanical “turn key” installations. Our Management goal is your complete satisfaction with on-time on-budget installations. 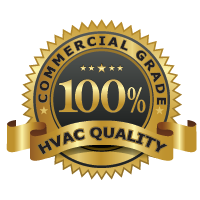 You will always receive our commercial grade HVAC quality products, support and service. © 2013 | Artic Air LLC.